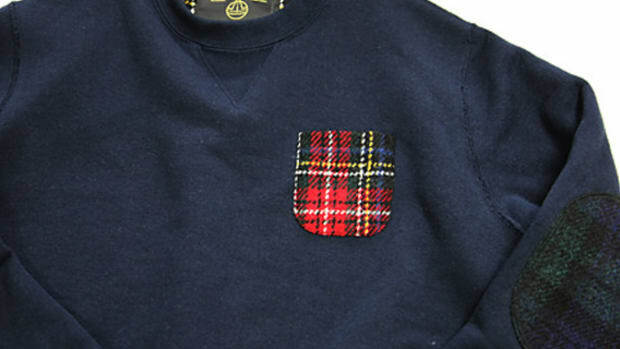 Since we are well on our way into the troughs of fall, it is not surprising that with a resurgence of appreciation for heritage brands and fabrics, Harris Tweed has been popping up everywhere in collaborations of shoes and clothes. 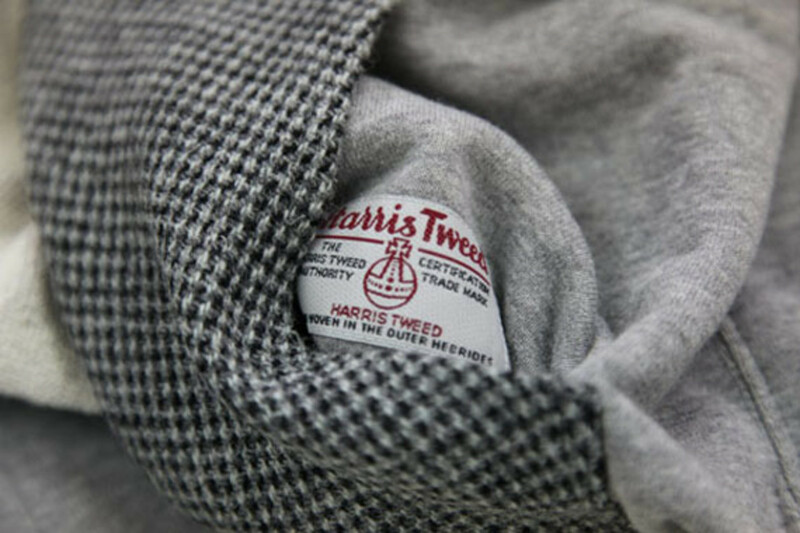 The latest to adopt the heritage English Harris Tweed is the Japanese maker of ultra-soft, tightly spun, durable fleece apparel-- Loopwheeler. 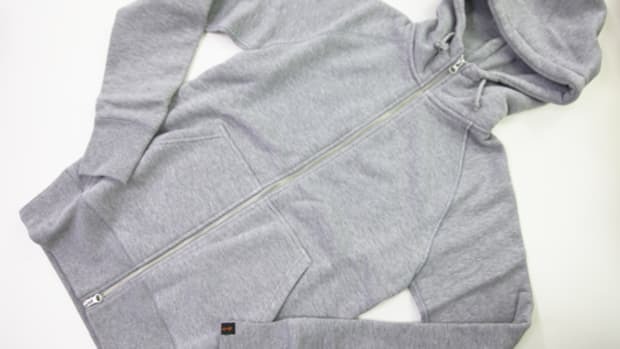 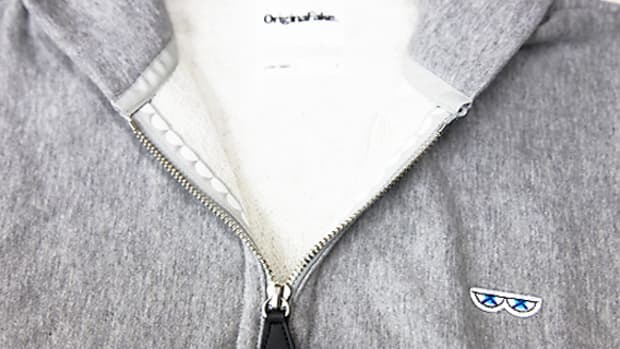 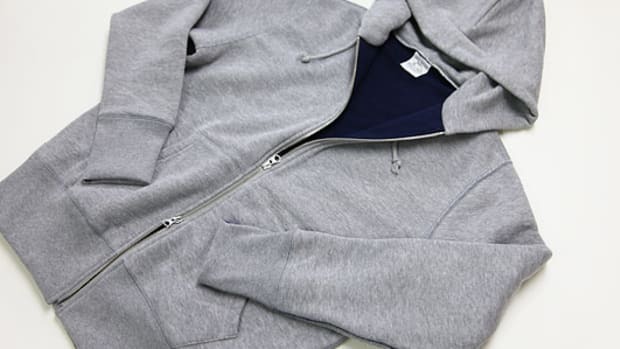 Loopwheeler had customized its classic zip-up grey fleece hoodie with Harris Tweed patches in contrasting herringbone and check pattern. 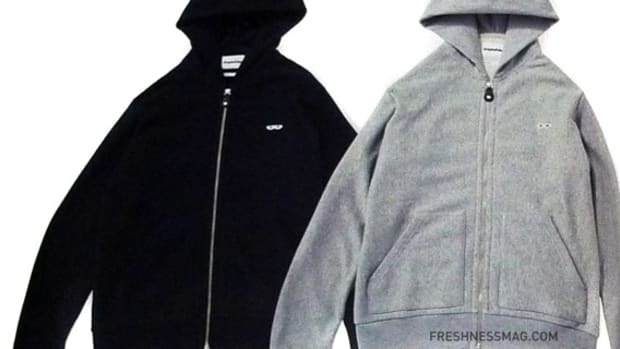 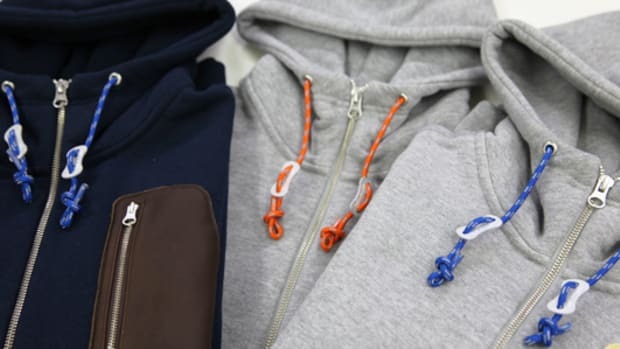 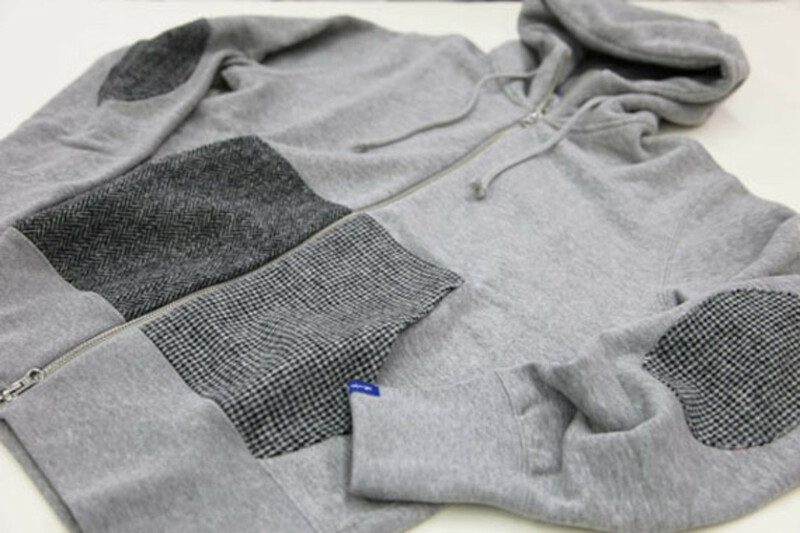 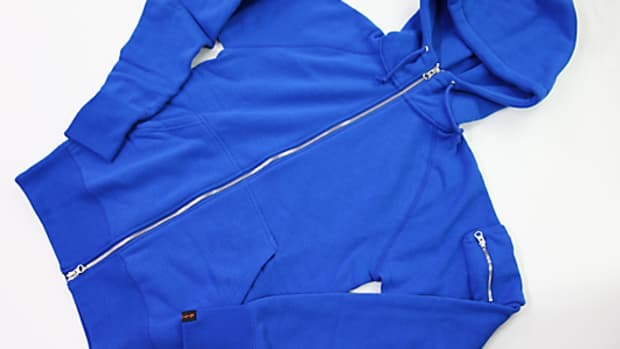 The pockets have been made in one pattern each, and each half of the hoodie comes with a matching elbow patch. 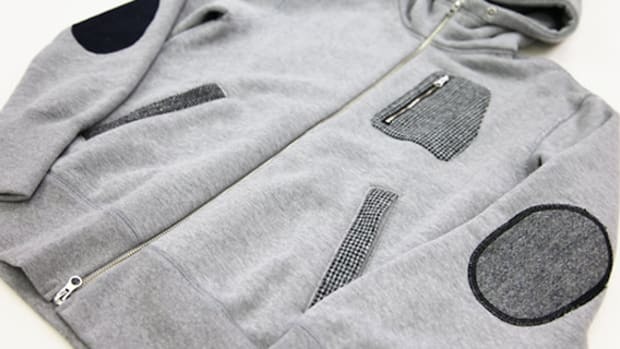 The hoodie is set to hit racks in mid-November, so keep an eye out for a hoodie that will last and last and last.